Duration: 30 minutes – 1 hour. 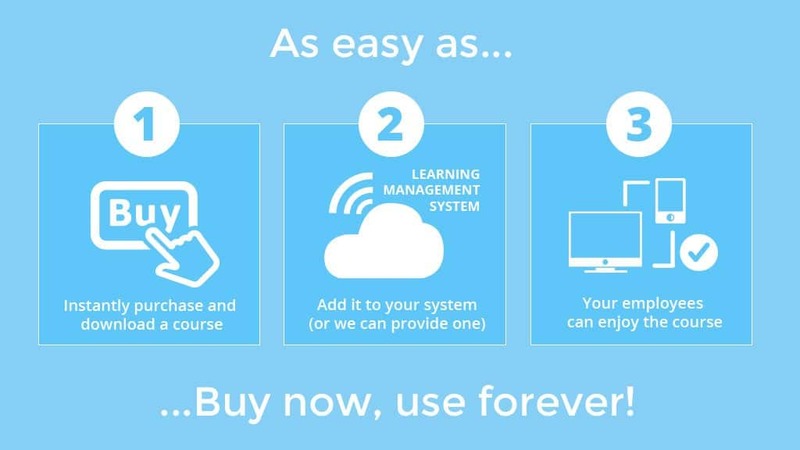 These manual handling e-learning course materials are intended for use by people that want to make e-learning an additional part of their learning and development offering. Poor manual handling techniques is one of the major causes of workplace injuries. There are over a million people in the UK who suffer from back pain caused or made worse by injuries that occurred while working. But this problem is preventable. In this fun, comic-book style e-learning course, you will learn everything you need to know to lift safely and prevent injury. This course is essential health safety training. It’s particularly appropriate for anyone who has to handle or lift goods and materials in their job. However, while some professions (such as warehouse and factory workers) may be more at risk of back injuries, the truth is anyone can be injured. Even if you’re an office worker sitting at a computer screen, you could from time to time need to lift something heavy. Follow Tony and Vinny as they take you on a journey through the key elements of Manual Handling and how to protect your back. This e-learning course is fun while getting the key message across regarding the important safety elements of manual handling in the workplace. Definition of manual handling – A clear explanation and review of what manual handling means according to the Manual Handling Operations Regulations 1992. A scored assessment to ensure participants have understood and can apply their knowledge.